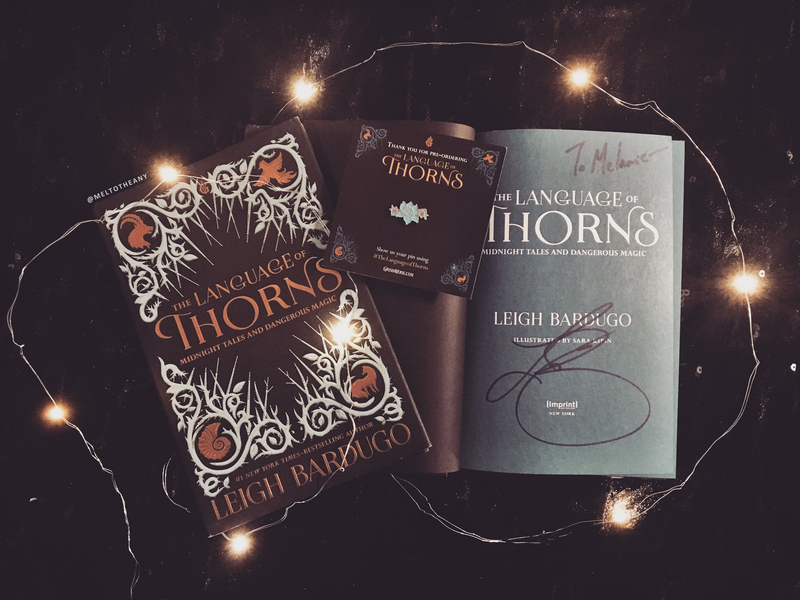 The Language of Thorns: Midnight Tales and Dangerous Magic is a bind up of six fairy tales that take place in the Grishaverse, which is the same world that her Shadow and Bone series and her Six of Crows series take place! All of these are expertly crafted. All of these are so very lyrical and beautiful. All of these feel powerful and impactful. All of these are absolutely haunting. These stories are also illustrated and Sara Kipin’s art took my breath away. 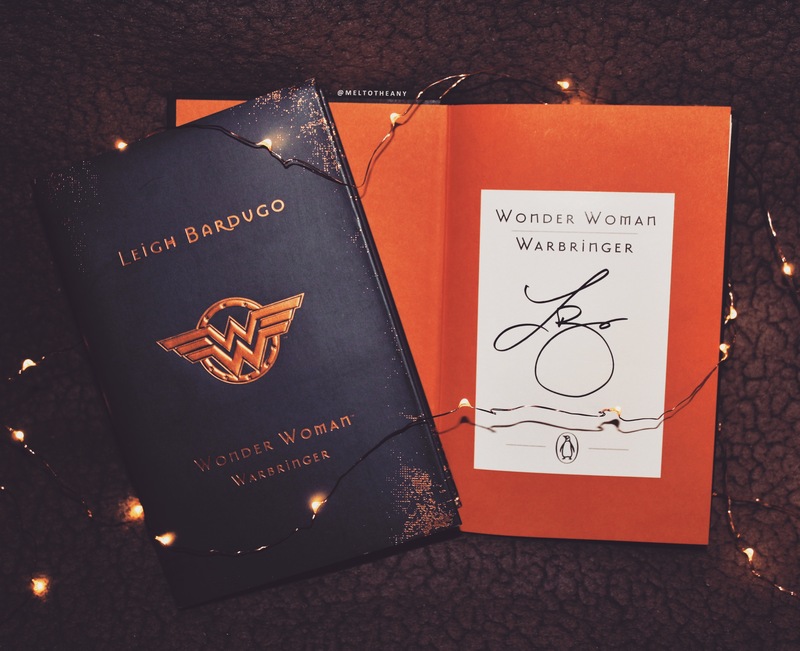 This whole book is a gorgeous masterpiece from the dust-jacket, to the cover, to the spine, to the art that progresses throughout the story that eventually leads to full-page beautiful artwork, to Leigh’s perfect writing that will make you evoke every emotion ever felt. This is easily one of the top books published in 2017. And my personal favorite in the whole collection, which moved me to a whole hot mess of tears, was When Water Sand Fire . 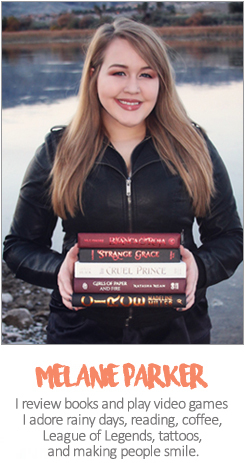 If you can only read one of these amazing stories, please pick that one. It’s the longest, but the most fulfilling, and hopefully is the start of something beautiful. This story was actually heartbreakingly perfect. 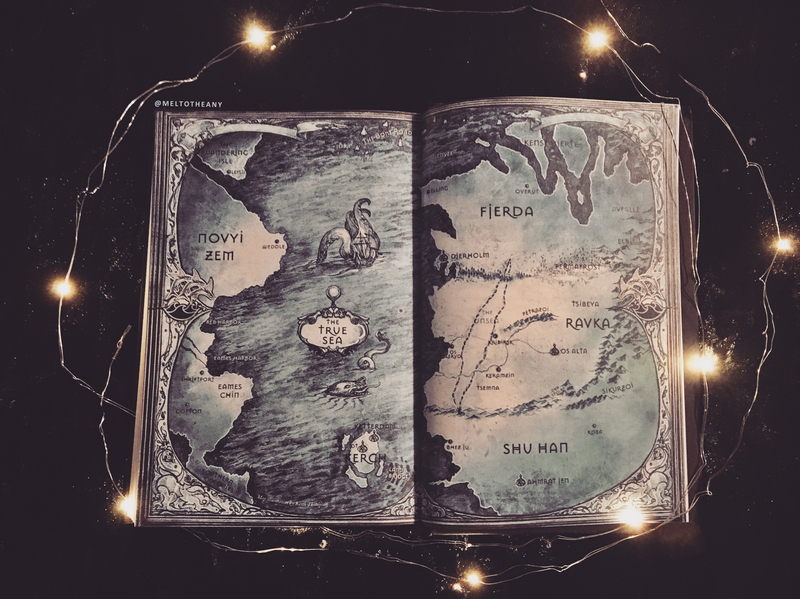 It surrounds a small kingdom, where the king and his wife have given birth to two sons, one that is loved and one that is not because of the way he looks. Meanwhile, a young girl in the village is treated like a servant to her family that only sees her beautiful sister. Their paths cross, and continue to cross, because everyone in the village believe both of them to be expendable just based on their appearance, but together they forge something more beautiful than eyes can see and together they can change the kingdom. And they teach that kingdom that the world can be so much more beautiful when you stop only looking physically. This is such a beautiful story about perspective and how we are never as smart as we feel we are. Also, sometimes being smart has nothing to do with knowledge, but completely with the actions you take. This story centers around the cleverest fox in all of Ravka. From birth, he has been at a disadvantage because of his looks, but he compensates by being a witty and clever trickster. Also, this story reads so much like an actual fairy tale story that we would read in our world, even. You can actually read this short story for free HERE thanks to Tor! And I can’t recommend you read it enough, because this short story actually shook my entire world. This is such a perfectly woven and absolutely haunting tale about a village who is mourning their lost girls, while also trying to endure very hard winters. And the ending of this story is beyond words, and turned me into a crying, melted, weeping, puddle on the floor. Also, this one should probably have a few trigger warnings for abuse (physical/sexual) and just violence in general, even though these things are very vague in the story they are still there, just woven in quietly. This is a lovely tale about beauty and owing it to no one but yourself. This is also a tale about never underestimating what greedy men will do for things they feel they are entitled to. This story actually reminded me very much of my favorite saint, Rose of Lima, and her life and the consequences of being so beautiful. And an unexpected love story will always be the best love story. Give me all of the Ketterdam tales, please. And this was a super twisted, yet amazing, retelling of The Nutcracker. And Leigh perfectly mixes what you would expect from a mash up of The Nutcracker and the streets of Ketterdam. And Droessen might be the best character debut in this entire short story collection. Like, I’d love a full-length novel just about him and his entire backstory. But yeah, this is such a creepy little tale that I really enjoyed. Be still, my everything. This story. Lord, this story. This story gave me life. This short story was so perfectly crafted and the tale was so perfectly woven into a simple masterpiece. This was easily my favorite story in the entire collection. Also, this is the story that features one of the best characters ever written in modern day literature, the Darkling. This story surrounds two girls who live under the sea. One is ostracized for being different, and the other is forced to sing alongside her, but when they sing they’re more magical than any other singing group. After a turn of events, they are taken above the sea where magic grants them legs to walk among humans. But soon our main character, Ulla, realizes the heart of sea folk isn’t much different than the heart of men. And that pain and hatred can find a way inside of all of our hearts, if we let it. 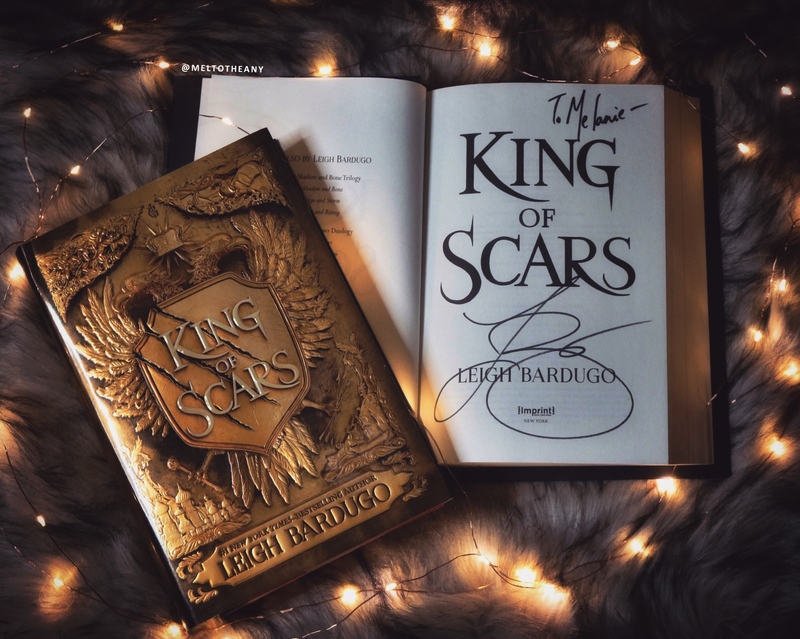 And I just am praying with all of my soul and with the entirety of who I am that we will cross paths with Ulla again in King of Scars. I gave The Language of Thorns five stars overall, because out of a possible 30 stars (5 stars possible for each of the 6 stories) this collection accumulated 27 stars (90%). But, like, throw away all of those stars, because this book is one of the best things that 2017 has produced. It’s beautiful, detailed, thoughtful, whimsical, and every single thing I look for in good fairy tales. I can’t recommend this masterpiece enough.